Home > Blog > Corporate Governance > Tax & Regulatory Strategy > New Pass-Through Entity Deduction: Could You Benefit? Much has been written about the many beneficial provisions of the Tax Cuts and Jobs Act that was signed into law last December, including the pass-through entity deduction. Of particular note for businesses is the replacement of the graduated corporate tax rate schedule, with a top corporate rate of 35%, to a flat corporate tax rate of 21%. The 20% corporate Alternative Minimum Tax (AMT) has also been repealed, effective this year. However, the lower corporate tax rate only benefits businesses that are structured as C Corporations. Businesses that are structured as pass-through entities — such as S Corporations, limited liability companies (LLCs), partnerships and sole proprietorships — don’t benefit from this lower corporate rate because net income flows through to the owners’ personal returns and is taxed at their individual rates. To enable pass-through businesses to also benefit from tax reform, the legislation includes a new pass-through entity deduction designed specifically for these types of businesses. Such businesses can deduct up to 20% of qualified business income (or QBI), starting with tax year 2018 and continuing through 2025. QBI is defined as the net amount of business income, gain, deductions and losses excluding investment income such as dividends, interest and capital gains. In order to curb potential abuses, the legislation includes some detailed rules that will limit the applicability of the QBI deduction for some types of pass-through entities. For example, there’s a wage and capital limit test that reduces or eliminates the deduction if the amount exceeds the greater of 50 percent of W-2 wages paid by the business, or the sum of 25 percent of W-2 wages paid by the business plus 2.5 percent of the unadjusted basis of all qualified business property. Note that the QBI deduction is reduced on a pro-rata basis starting at an income threshold of $157,500 for single business owners and $315,000 for married business owners filing jointly. Once income reaches $207,500 for single business owners or $415,000 for married business owners filing jointly, the pass-through entity deduction becomes restricted to the W-2 wage limitations. Also, the deduction cannot exceed the business’ taxable income for the year. If the net amount of QBI is a loss, this amount can be carried forward to the following year. Given the new 20% QBI deduction, some C-Corporations may want to think about switching their ownership structure to a pass-through entity, such as an S-Corp or an LLC. There are a few factors you should consider as you think about making such a switch. One drawback to electing S Corporation status is the fact that there can be no more than 100 shareholders who must be U.S. citizens. Also, S Corporation profits and distributions must be made to shareholders in proportion to their ownership interest in the business. So a shareholder who owns 70 percent of the business must receive 70 percent of the distributions, while a shareholder who owns 30 percent of the business can receive no more than 30 percent of the distributions. This can limit flexibility when an S Corporation raises capital by giving ownership shares to equity investors. LLCs avoid this problem by allowing disproportionate distributions of profits to shareholders. So if equity investors own 70 percent of ownership shares, they don’t have to receive 70 percent of the distributions. Another thing to consider is the fact that in California, a gross receipts tax of up to $11,790 is imposed on all LLCs with annual gross revenue of at least $250,000. This is in addition to the annual $800 minimum franchise tax fee. Since this tax is based on gross, instead of net, revenue, LLCs with net losses could still be subject to the tax. The Tax Cuts and Jobs Act includes a new pass-through entity deduction designed specifically for entities like S Corporations and LLCs. Such businesses can deduct up to 20% of qualified business income (or QBI), starting with tax year 2018 and continuing through 2025. This new deduction might justify switching from a C Corporation to a pass-through entity. 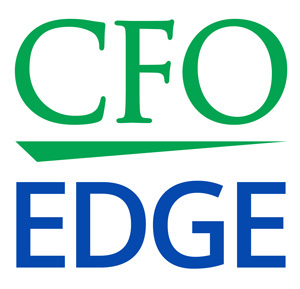 An on-demand project CFO or part-time CFO from a CFO services firm, working with your tax advisor, can help you determine whether switching makes sense for your business and, if so, what type of entity structure would be best.